Executives face unprecedented demands. The importance of being clear about what success looks like is paramount when, wherever you look, there are stakeholders with ever increasing expectations. Shareholders requiring significant and sustainable improvement to financial performance; regulators demanding adherence to ever more onerous rules; a more global fight to attract and retain top talent; and just when we thought we ‘d seen it all – the uncertainty created by whatever the 21st century chooses to throw at us. 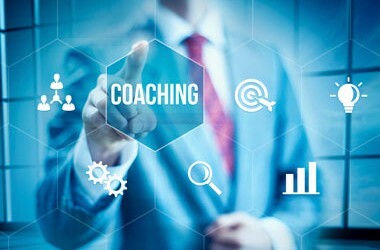 Coaching is now an essential component of an organisation’s investment in its executives. It can equip business leaders to thrive and deliver in an increasingly challenging environment. Today it is regarded as a strategic priority for businesses. Each prospective client has a ‘chemistry’ meeting with one of our coaches. During this meeting we establish what needs to be achieved and how the client prefers to learn and work. The relationship between both parties is cemented very early in the process. This creates strong relationships that, in time foster mutual trust and respect. We provide challenge, feedback and support which enables executives to try out and learn new skills, techniques and behaviours whilst improving their personal performance and delivery. Translate clear commitments (personal and career goals) into tangible deliverables. We also know when it’s time to move on. We know from experience that people outgrow coaches and we see that as a positive step. When we can see that there’s no more UP2 can give then we’ll say so.